I met a young 18 year old girl this past weekend. We got to talking and she was open enough to share her story with me. She is a preacher's daughter who walked away from the church. She got wrapped up with a group of stoners and they all lived in the same house, spending their days smoking weed and taking ecstasy. Recently, a good friend of hers offered to pull her out of that environment and invited her to live with her family. She has been attending church with her friend and was on a retreat that I was a part of. She has been totally impacted by Jesus. She has begun the process of walking out her faith again. It is so clear to me that God is doing big things in her life. A couple of things she said really inspired me. She talked about the drug house she lived in. She knew it was wrong and that her life would remain stagnant for as long she stayed there. But what kept her there was a sense of acceptance and belonging. She said she didn't feel the need to conform because she was loved for who she was, which was something she had never felt at church. At church, there was always a sense that she wasn't good enough and she could never fit in. At the church she has been attending, she has experienced love and acceptance from other Christians like she never has known before. A couple of other girls on this retreat expressed a similar story. At a time in their lives when they were doing all the wrong things, God put Christians in their lives who loved them consistently. Even when they would make the same mistakes over and over again, God had put people in their lives who loved them anyways and that made a huge impact. Now they are living for Jesus. Stories like these have made me reflect alot about how I love others. I have alot of friends who have walked away from church. I have been told that Christians are closed-minded, selective and exclusive, leaving people feeling like no matter how hard they try, they are never going to make the part. In John 14:6, Jesus makes a bold statement: "I am the way, the truth and the life. No one comes to the Father except through me." He also says in 2 Peter 3:9 that "He is patient with you, not wanting anyone to perish, but everyone to come to repentance." My fear is that we aren't demonstrating that same patience in the church. I can't help but think that too often, unknowingly, we make relationship with Jesus seem unattainable, as if it were reserved for only those who think, speak, dress and act like we do. Broken individuals, looking for answers, are left feeling like they can't fit the mold. Sadly, many reject the idea of Jesus all together, coming to the conclusion that they would be better loved elsewhere. I think too often we present the gift of Jesus' love to people in the wrapping paper of our own traditions, in a language they can't relate to and with a list of stipulations they must follow if they want to stay in our club. The package is unattractive. People yearning to know real love, real joy and real freedom can't accept that the package we are presenting them with is their only option. I don't think that people would have such a hard time wrapping their mind around the idea of Jesus being the only way, if they could see and experience love the way Jesus does it. Jesus followers were unrefined and uneducated. Matthew was a tax collector. A man looked down upon by society. When Jesus looked at people, His eyes radiated love. He cherished people and was attentive to them in whatever state it was that they were in. He was not one of the men standing in line to condemn and throw stones at the women caught in the act of adultery. In a magnificent display of His grace and His mercy, He spared her life telling her to go and sin no more. 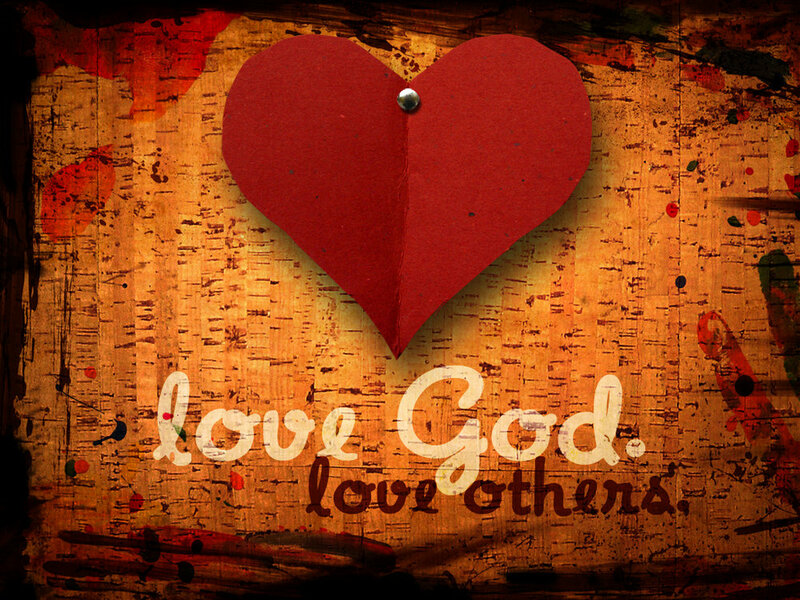 That's the thing about the love of God. Once you experience it, you don't want to live the same way anymore. His love motivates you to live a life that would please Him, much the same way that a wife or a husband, out of pure love, desires to please their spouse. I think sometimes we are guilty of taking the opposite approach with people. We make a big deal about people's sin, expecting them to comply with our rules and regulations, without giving them the space to encounter God's love, mercy and grace. It just doesn't work. Isn't it interesting that the only people Jesus lost patience in were the Pharisees and religious leaders that thought they knew everything, but only made it harder for people to experience relationship with God? Jesus loved people with no agenda, because that's just who He is. He is love. If you need an example of this look no further than the cross. When it came to the people who rejected Jesus, His response was to love harder. He loved more fiercely. His love for those that rejected Him led Him to His crucifixion. He looked in the eyes of those who refused to love Him as they drove the nails into His hands. His love didn't give up. It wouldn't rest. We need to take this into consideration when we treat people like we have an agenda. When we can't handle their sin, their brokenness, their doubts or their questions, even their rejection of the Gospel, we write them off as unreachable. We allow ourselves to grow distant from them, making them feel even more alone than when they started out. What if we demonstrated the same kind of patience that Jesus demonstrated with us? Have we forgotten our own process and journey that has led us to where we are today? What if we weren't threatened by people's sin and questions and chose to love them anyways just because? What if we took more time getting to really know people? What if we expressed a desire to know their story? To understand why they are where they are? And what if we chose to love them anyways? What would that speak to the world about what Jesus' love is all about? What if?